chills, man................(when it's a team I don't hate). This "I Want The Cup" guy is pretty intense, lol. Of course a blonde girl screams in his ear. These fans actually jumped the gun by one final faceoff after the icing. I guess after 43 years you don't want to wait even 0.6 of a second longer than you have to. I am really happy today for those fans - Wings fans know what it's like to wait. Beyond all the celebrating - it was a great game last night. 3 out of the 5 games were fantastic. Alex Ovechkin, like Yzerman before him, used to be a scoring machine. He was all-offense and put up amazing numbers and scored incredible goals. But about 4 or 5 years ago he committed himself to being a complete two-way player, like Yzerman. He's been dominant in that regard for years now, but never got the credit for it because of playoff failures. Last night, in Game 5, late in the game with a one goal lead he coughed up the puck at the blue line - a Vegas player scooped it up and had a sure breakaway, he had at least 4 strides on Ovie. But Ovie gutted it out and with a burst of speed got the puck away without any shot being fired, and without drawing a penalty. He was at the end of a 1:40 shift in the 3rd period. That's a complete hockey player right there. 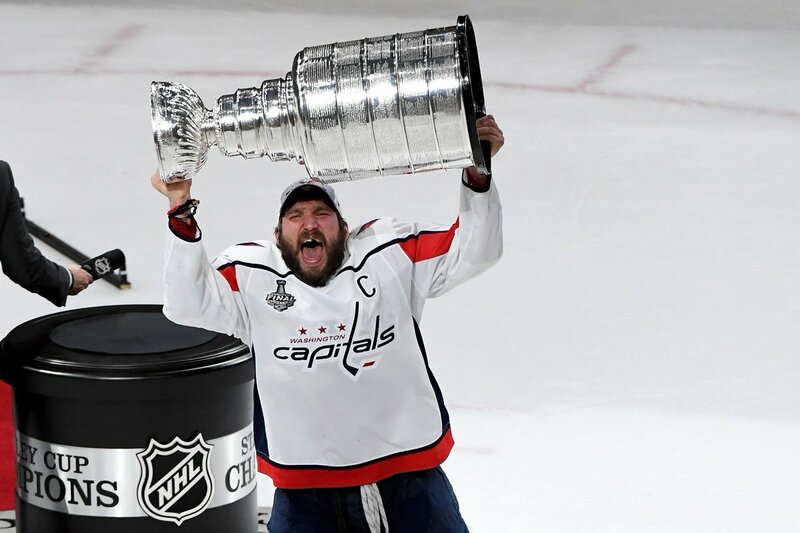 That may have been the final play that got him the Conn Smythe over Holtby. Very similar to a play Henrik made in the 2008 Final vs. Pittsburgh. I don't think this is the only Cup he's going to win.